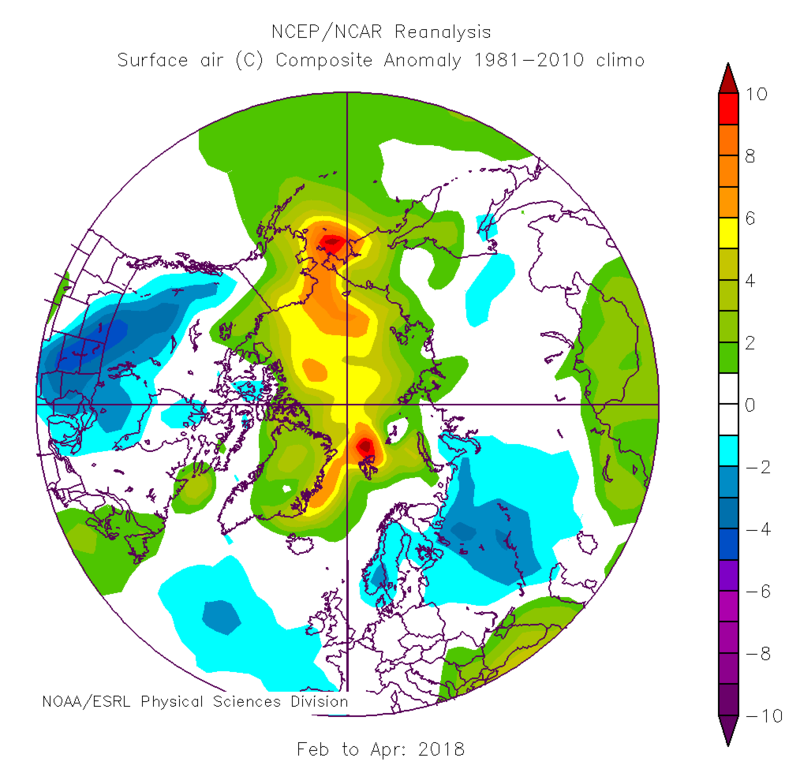 This is the main outcome from the October 2017- March 2018 Arctic Winter Seasonal Review. For more details, view the full climate summary presentation. November 2017 to January 2018 Seasonal Temperature Departures. February to April 2018 Seasonal Temperature Departures. 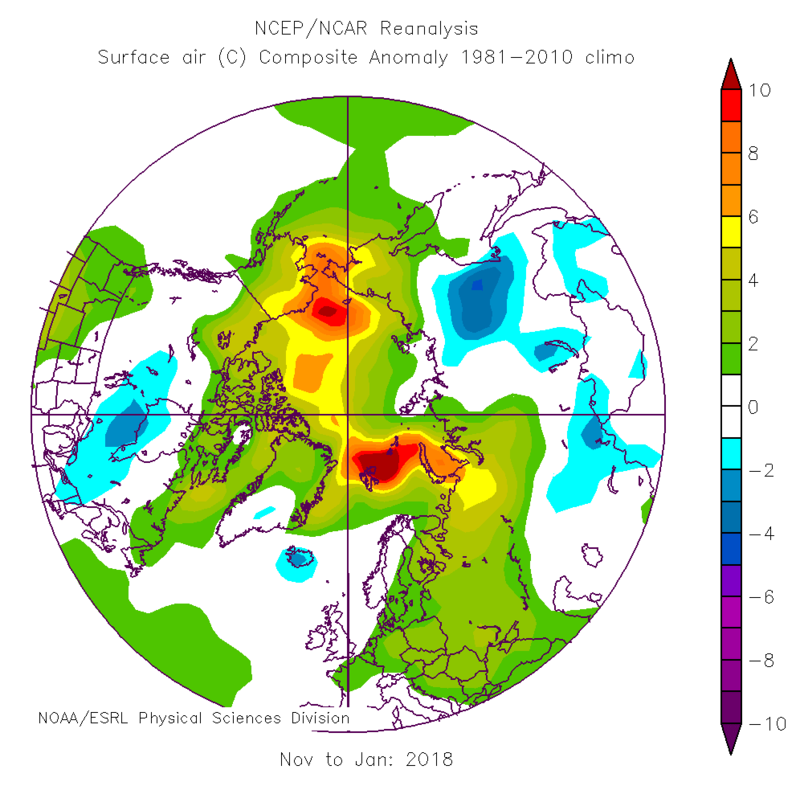 The average surface temperature for the whole period from November 2017 to April 2018 was third highest since 1949. 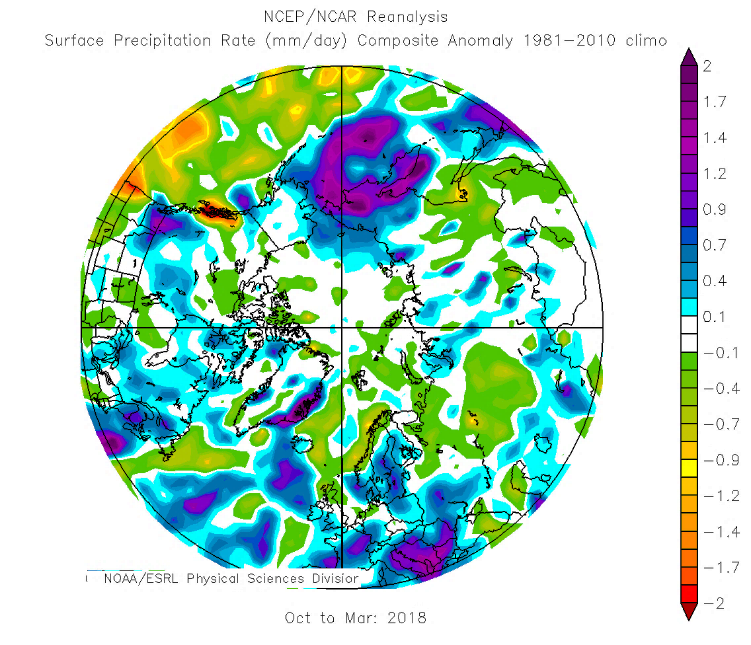 October 2017-March 2018 Seasonal Precipitation. The precipitation was slightly above the 1950-2010 average. Maximum Ice Extent (how much of the Arctic is covered in sea-ice) is recorded every March using satellites and compared to all previous years since 1979. March 2017 ice extent was 14.48 million km², second lowest on record. The mean extent for October-April was second lowest on record, and for January-April the lowest on record. 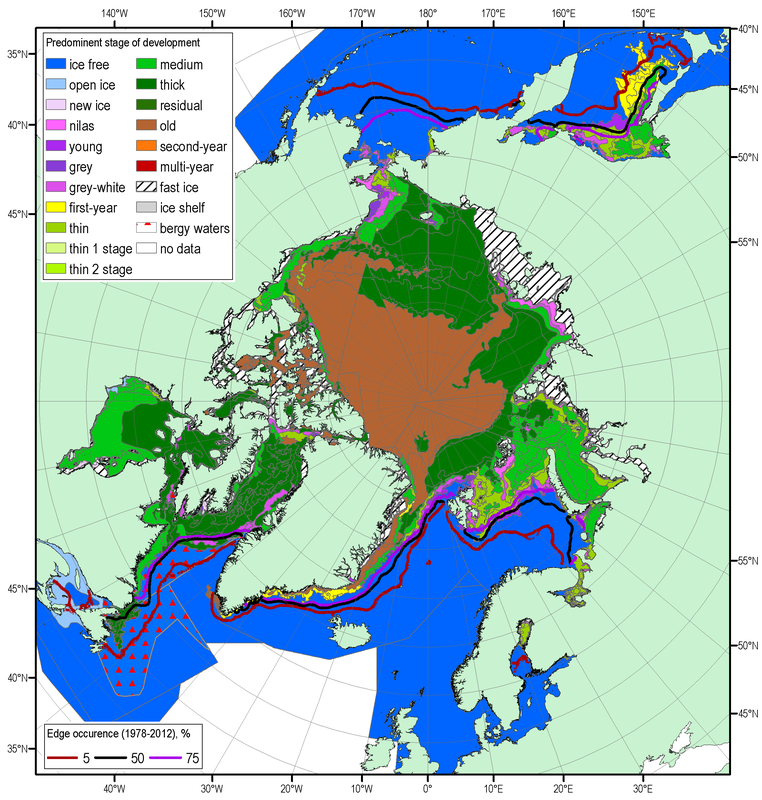 Blended Arctic ice chart (AARI, CIS, NIC) for 23-26 April 2018 and ice edge occurrence for 21-25 April for 1979-2012. Fast ice thickness in general 20-50 cm lower than normal though ice thickness at North Pole was close to potential 180-190 cm.